I haven’t had a chance to sew for a couple weeks now, and I really miss it! This quilting stuff is addictive. My stitches and tension had gotten out of control, and I am so happy I found a repair shop just down the road from my office. Mr. Sewing Machine on Harry Hines has fantastic service. $10 well spent for the time Antonio spent with me showing how I was jacking up my bobbin, and I shall never make the same mistake again. Turns out you can easily screw up a self loading bobbin. Oops. 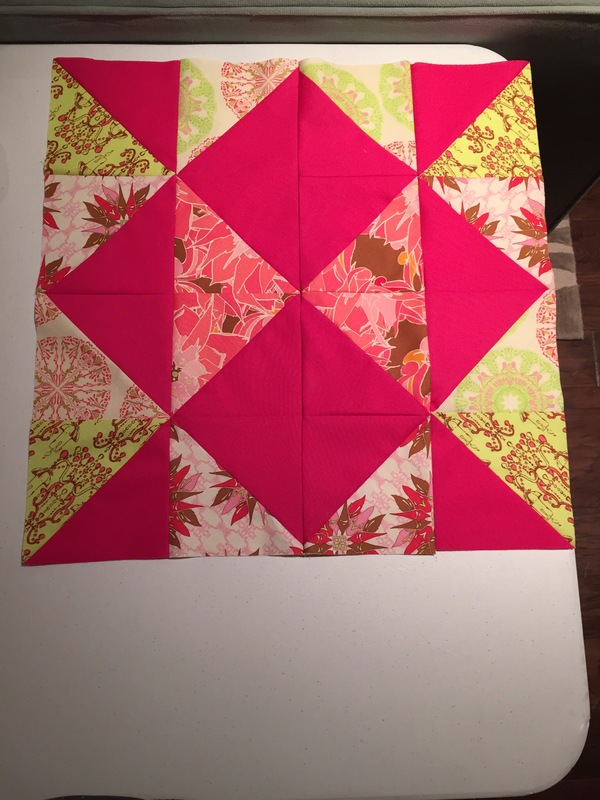 I have done a ton of quilting stuff since my last post, so I thought I would give a little update. 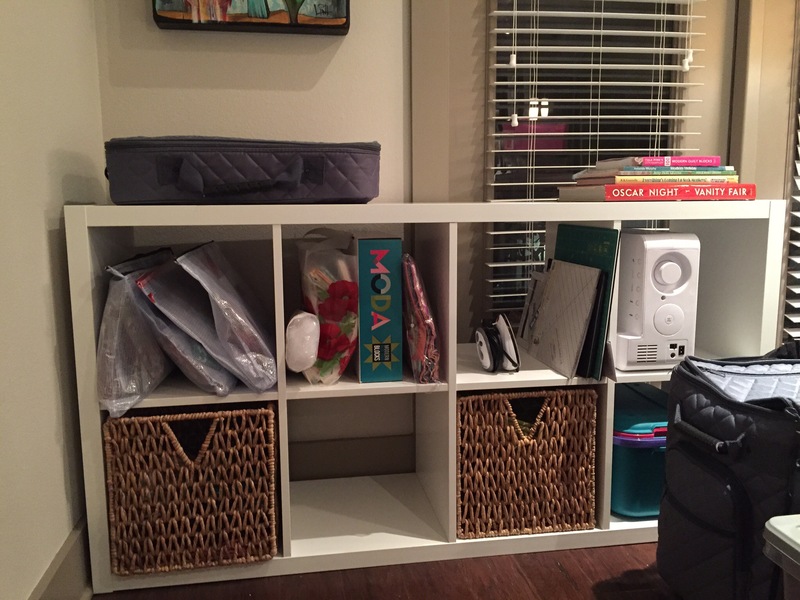 First, I finally hauled myself to Ikea in an attempt to bring order to my sewing area. I’m currently in a one bedroom apartment, and I have a little space carved out that started as a potential dining area. It’s now full of crafty fun. $65 and an Allen wrench bring a lot to the table, including my peace of mind. I can’t stand an unorganized space. Ah, order restored. It’s not a perfect solution, but I love that everything has a place. I’m just trying to block out how it wrecks my decor. As I look for my next place to live, I will make sure I have a place with a door so I can shut away the mess. If I go condo, that room might have to pull double duty for sewing and guests, but that’s why we have Murphy beds. I’ve fussy cut the back to feature the polar bears in this fabric group and it’s going to be precious. I should have this finished up in the next couple of days and will post my finished project. The instructor for this class is a sweetheart too! Love that I’m meeting all these wonderful new people. I also cut out an awesome jelly roll quilt. So excited to get it done! I have a handful of jelly rolls lying around because I love fabric, and it is well past time to get a project going. 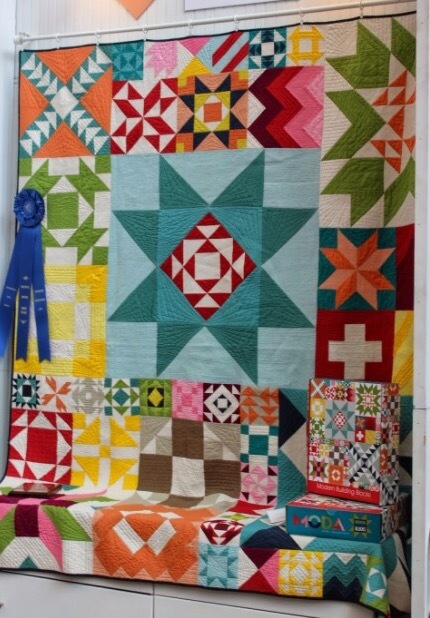 I’m still intimidated by regular quilting, because paper piecing seems so much simpler to me. I know I’ll improve with some hands on, so I’ve just got to get in there and get my hands dirty. 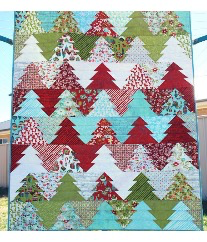 This pattern is called “Wander Through the Woods” by Hope Nelson. Thanks, Craftsy! 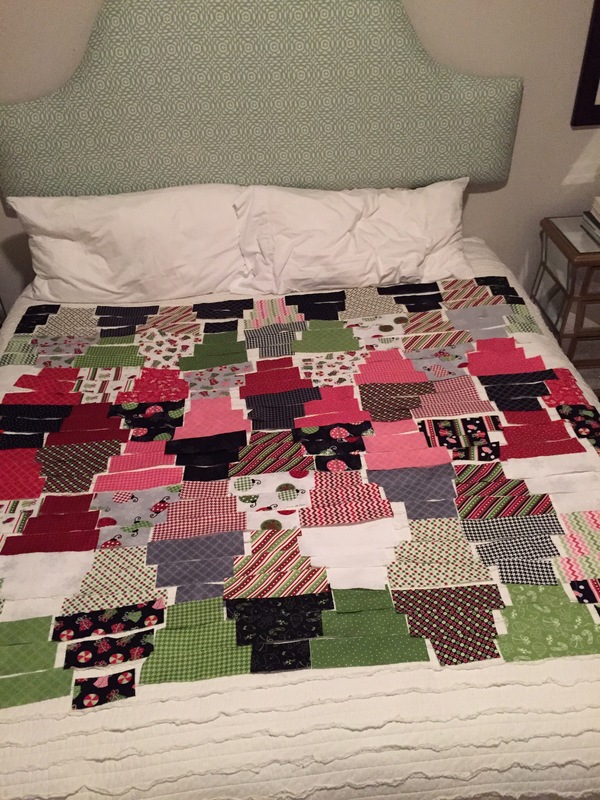 So much fun to cut out and I was extra thankful for my California king bed when it was time to lay out the fabric. Madness! Mom said it made her eyes hurt. I’m still figuring out the best way to shortcut sewing a diagonal line without marking every angle, but having a machine down gave me a lot of time to figure it out. I would love to get this top done by Valentine’s Day. 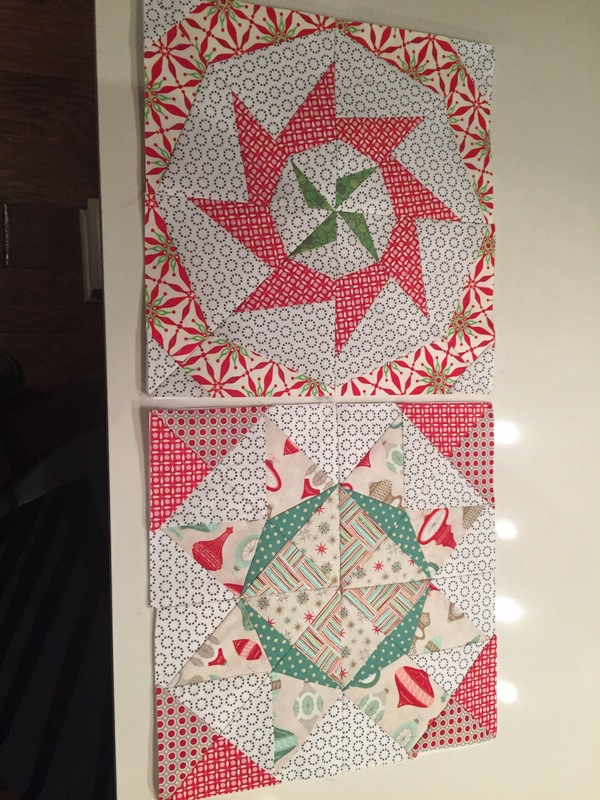 For January’s BOM, I went back to the fabrics I used in my very first Lucky Stars class. 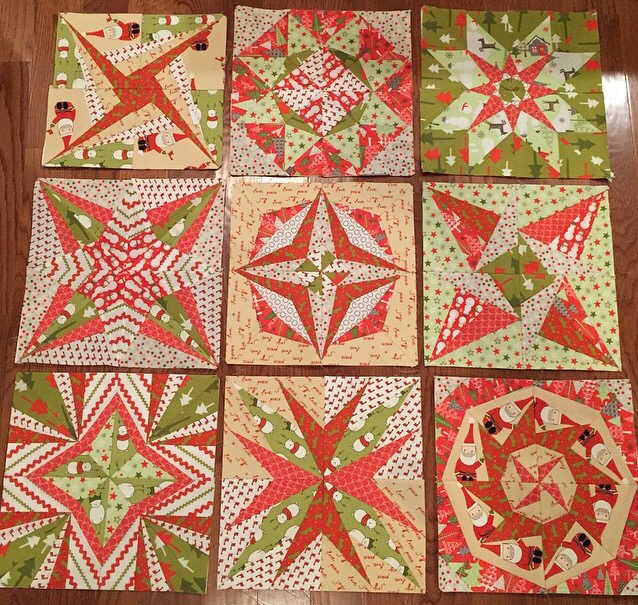 By the time it’s said and done, I’ll have two quilts done in this pattern. 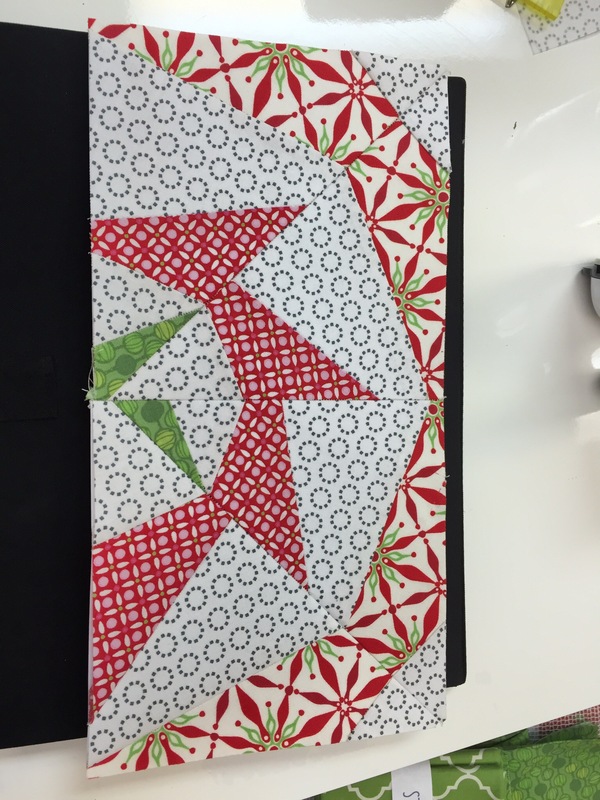 The quirky red and green and a more traditional dots and Christmas prints. While it still has a modern twist, the vibe is a bit more classic than my crazy retro reindeer. Last but not least, I am finally starting my Modern Building Blocks quilt. This is a block of the month club (instead of a class) and I’m pretty intimidated, but I’m sure I will meet great peeps in this class too and hopefully pick up some tips along the way. Wrapping up this lovely little nap time in snowy Chicago! Katie and I are going to bundle up and walk over to a quilting shop in her neighborhood called The Needle Shop. Great reviews on Yelp and I’m always excited to get my hands on some great fabric. Thank you!! It wasn’t what I originally planned, but I love it now. 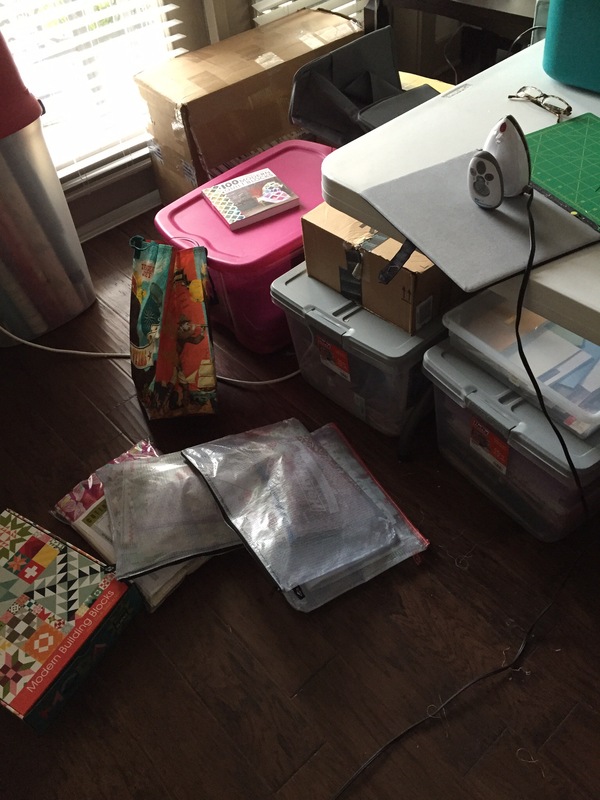 As much as I would like to keep everything neat 24/7, I won’t get any sewing done if I have to haul everything out each time. 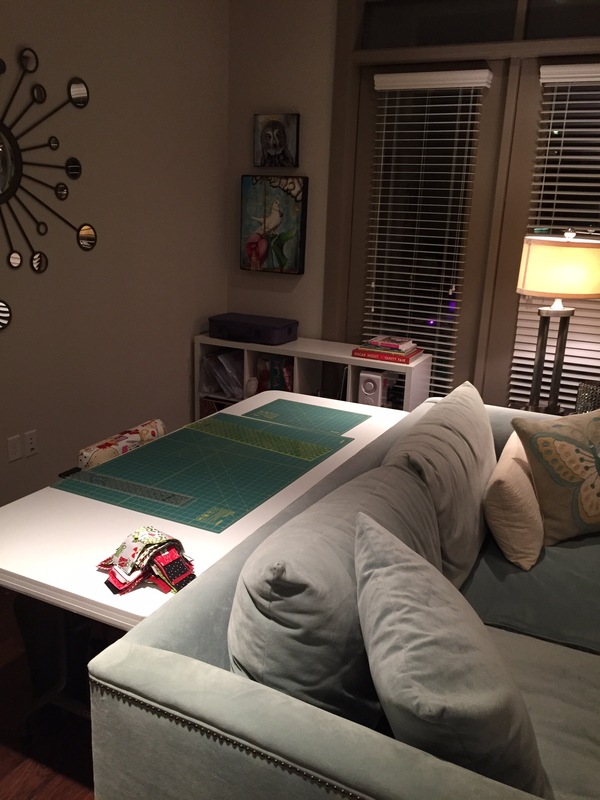 I’ve been pinning craft room ideas for the next time I move, though. Can’t wait for a dedicated room with a door 🙂 It’ll be my version of a man cave, right down to a TV and comfy chair.